Anyone that wants to spend a dream vacation in Curaco actually only needs a dream accommodation, because everything else is beautiful by nature. 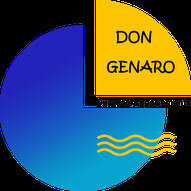 Don Genaro's is a small vacation paradise under German ownership and offers not only small apartments for two people, but also a big vacation house which can accommodate up to six people. Just take a look at the pictures and start dreaming. By car is the best way to discover the island of Curacao. That's why Don Genaro also offers cheap rental cars of various sizes and features that are waiting for you at the apartment. The best thing: We pick you up from the airport free of charge and your car awaits you at your apartment. This is what we call a "relaxed arrival"
A vacation in Curacao at Don Genaro is also ideal for divers. Because, not only will you find the most beautiful beaches close by, but you can also get the appropriate equipment through Don Genaro. We work closely together with a dive-base, which supplies our guests with everything they wish for.